Intergate, in conjunction with our travel visa partner, offers a bespoke Japanese visa service that provides advice, compilation of the application, submission and return. What is a Japanese visa? South Africa does not have an exchange agreement with Japan, so therefore you will have to apply for the visa before coming to the country. This visa allows you to enter Japan and stay there under certain conditions and for a certain period of time. For what purposes can I obtain a Japanese Visa? Temporary visitor’s visa – ranges from sightseeing, tourism, trade fairs through to business activities such as consultations, research or signing of contracts. Granted for a duration of 15, 30 or 90 days. Transit visa – for sightseers on transit through Japan on their way to another destination. Granted for a period of 3 or 15 days. 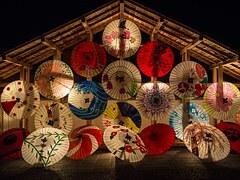 Cultural activities visa – for cultural activities by artists or academics under the guidance of Japanese experts for the purpose of obtaining skills in Japanese arts or cultures. Granted for a period of 6 moths or one year. College student visa – for studies at a Japanese college or equivalent. Visas may be granted for 1 year or two years and applicant must meet certain criteria such as proof of living expenses. Precollege student visa – to receive education at Japanese high schools. Visas may be granted for 6 moths or one year and again certain criteria must be met such as proving adequate living expenses. Trainee visa – Can be granted for 6 months or one year and is for activities to learn and acquire technology, skills, or knowledge at public or private organizations in Japan. Designated activities visa – for activities designated by the Minister of Justice and can be granted for a period of 3 years, 1 year, 6 months or less. A Japanese Visa is applied for at the Embassy or Consulate of Japan or visa application centre. Do I have to go in person to submit my Japanese visa application? You either have to submit your visa application in person or pick up the visa in person – it must be one or the other. Yes – if you did not submit the application in person. In general a visa application takes about 4 working days but it should be remembered that timing and acceptance or rejection is at the discretion of the Japanese consulate or embassy. It is always good advice to apply well in advance.